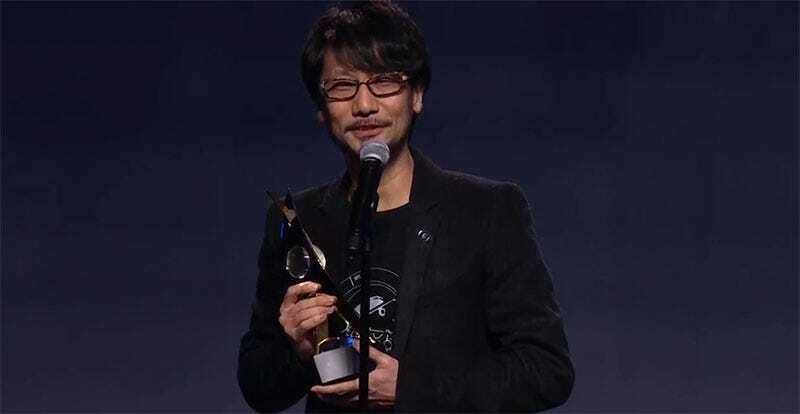 Hideo Kojima was fucked over at last year’s Video Game Awards, reportedly prevented from getting up on stage as his Metal Gear Solid V won awards. Last night at the DICE awards, a free man with a new studio, nothing was going to stop him getting his dues. This is Kojima’s reception having got up on stage to be inducted into the AIAS Hall of Fame. Take a bow, sir.